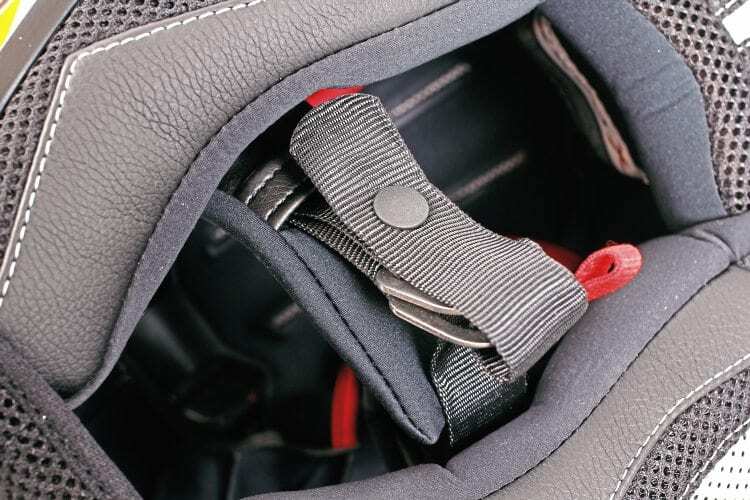 Multi-purpose helmets tread a fine line between being a practical, good-value way of covering all the bases, and being a compromise too far in every format. Nexx has nailed it though, the Voyager being the best all-rounder I’ve ever used. Working with Touratech, the carbon-shelled Aventuro was released to acclaim from adventure bike riders a couple of years ago, and is still available at £399 for colours, or £369.99 for plain. This Nexx, which was born from that development work, is £40 cheaper and gains a drop-down sun visor and a housing for Nexx’s own ‘X-com’ intercom. It’s got a composite shell, which along with the extras adds 150g to the weight, though I don’t find the Voyager to be a heavy lid. Also, the Touratech has a clip at the rear to keep your goggle strap in place, but the Nexx’s sculpted design means that I had no problems with my rubber-backed Barstow goggles. When lifting them clear, they can tuck under the peak, or across the chin, and the strap hasn’t moved yet. 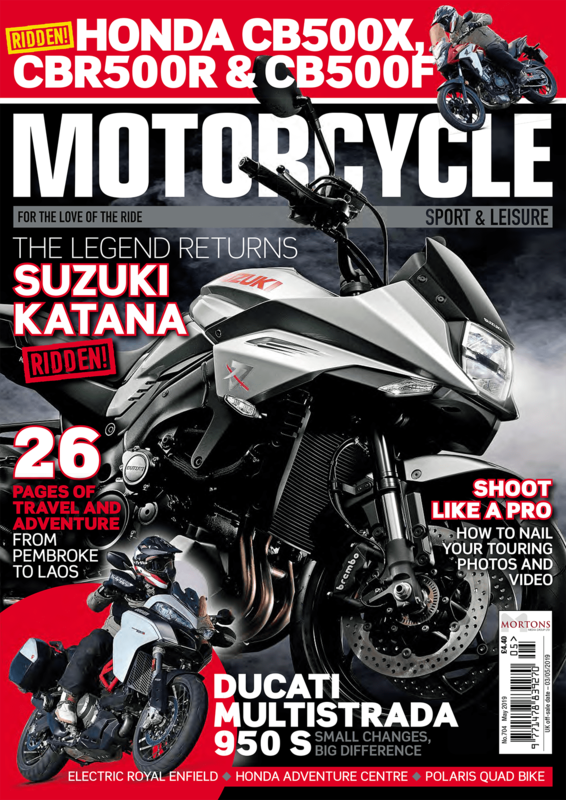 Using goggles in the off-road orientation is probably how most riders will use the Voyager least. 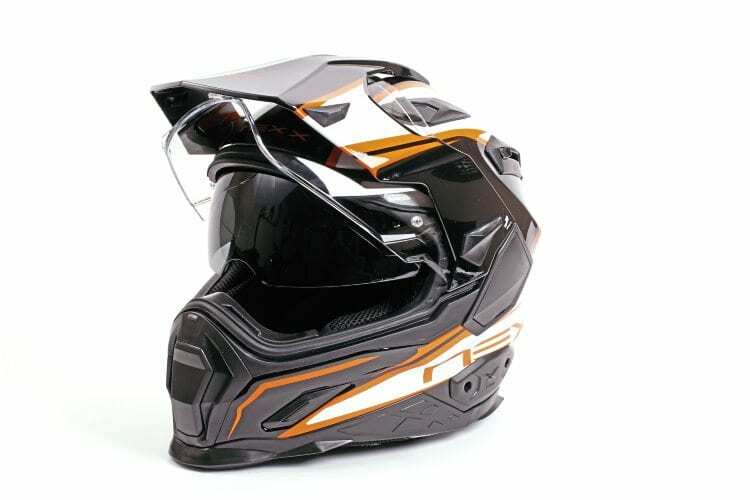 The other options are ‘enduro’, which has the peak with the visor, and street, which uses the visor without the peak. Of course, you could also use it with the goggles, but not the peak. The lid comes with a useful pack of accessories. 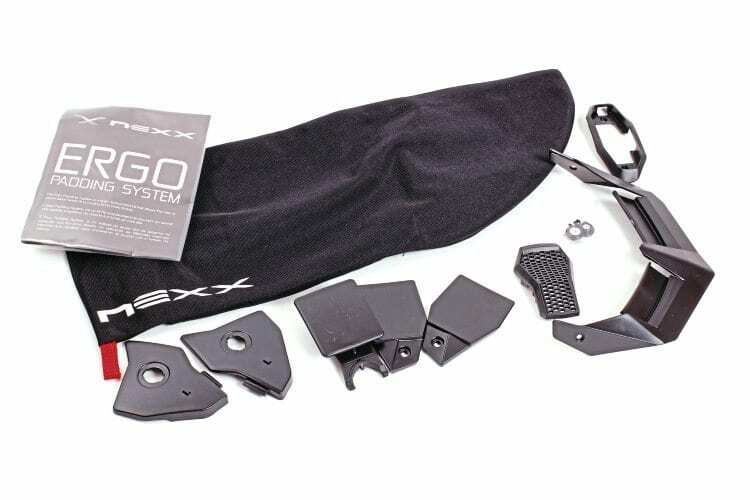 The Nexx comes with a Pinlock anti-fog insert, but also a useful soft visor bag and a pack of accessories that includes additional self-adhesive pads for a custom fit, a replacement free-flowing chin vent, a peak extender, three action camera mounts and blanking plates for when the peak isn’t fitted. The side camera mounts and the peak extension need a small cross-head screwdriver to fit, but other than that, everything is tool-free and extremely simple. Popping the peak off is done with two levers and a thumb-screw, then the visor lifts off very easily for cleaning. The lining is fully-removable and washable, while the vents – at the chin and top – are easy to operate and very effective, aided by a pair of exhaust ports at the rear. The visor is great. 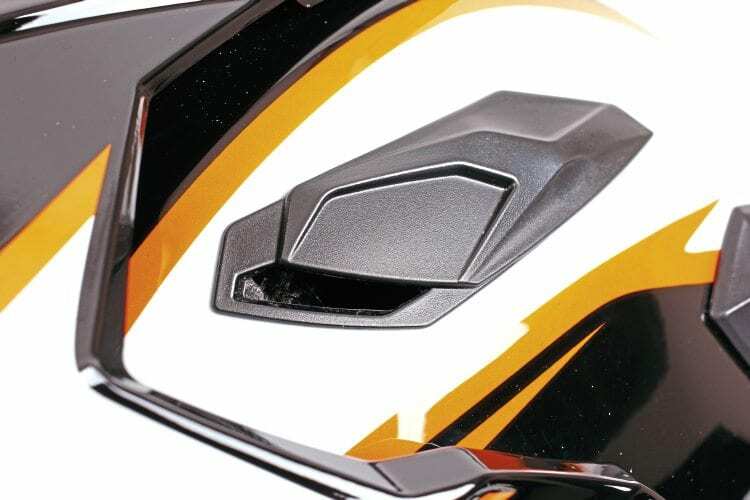 Besides giving a very good field of view, it’s a brilliant system that does away with the aggressive ratchet of some helmets, and combines a low or mid-position with a smooth action, similar to Arais. Latching into place securely and easily with the central thumb-piece, it can be positioned anywhere above and below the mid-point. This central location leaves the bottom edge of the visor in my eye-line, but as it’s effectively infinitely adjustable, I don’t tend to mind. My only slight grumble here is with the visor’s seal – it does a fantastic job of keeping the inside of the visor clear, but if closed down, but not fully locked, the seal rolls back on itself as you open the visor again, making it rather stiff. It takes a little getting used to, and certainly isn’t a deal breaker – I’d rather not have water running down the inside, into my field of view. The only way rain has got into the visor is at the sides, and here it runs down, out of view, though in an extreme downpour it can pool a little at the bottom of the aperture, before draining out of the helmet (still not affecting your vision). Of course, you’ll need to try one yourself, but I find the Nexx a perfect fit – snug, but never uncomfortable. With the peak fitted, it’s a little boomy and buffetty on my KTM 1050 Adventure, but this is due to the standard screen, and unlike some others, the peak stays completely still, not flapping distractingly at the top of my view. Drag is minimal when looking over my shoulder, and the peak extension gives some extra length to block the sun, sliding forward and back securely for fine tuning when riding. Venting on the Voyager is very good. 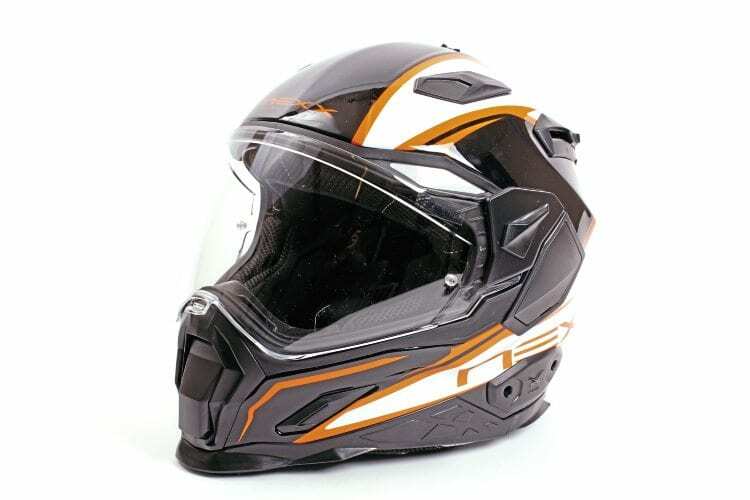 The design is quite deep, and in some extremely high winds recently, when the gusts were to the side, I felt slightly more aware of it pushing at my head than I’ve noticed with other helmets. It was a strong side-wind though, and didn’t put me off using the lid. I always prefer using a black visor in strong sunlight, and an 80% tint is available at £39.99. As always, remember that these are technically not legal for road use, but I carry my clear visor, should the conditions change. The drop-down sun visor of course eliminates the need for this, but I found it doesn’t come down quite far enough, the bottom edge being in my line of sight when checking the mirrors. All the parts are available as spares – for instance, lose the peak’s top screw and it’ll only set you back £3.99. The side clips are £5.99 a pair. 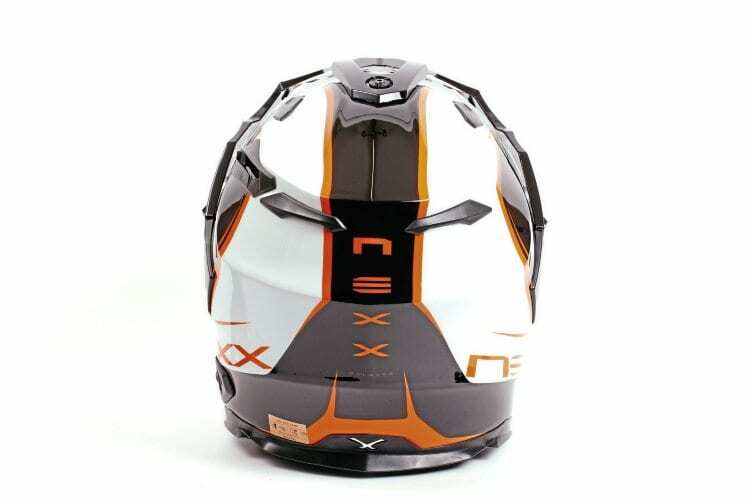 Unlike many helmets, the Portuguese-made Nexx only has a two-year warranty, though judging by my experience so far, it’s unlikely you’d need to call on it. My dislikes of the Voyager have generally been a little but nit-picking, like the D-ring fastener strap, which is longer than my other helmets ahead of the press-stud, making it somewhat more fiddly to do up at first. Stable, comfortable, versatile and customisable, this is an excellent lid that’ll I’ll be putting a lot more miles on.